PRICE ADJUSTMENTS EFFECTIVE JANUARY 16, 2019. CURRENT PRICES REFLECTED HERE. Body Treatments are a relaxing and rejuvenating way to pamper every skin type and bring it back to the smooth, healthy texture that gives it that radiant glow. The invigorating nature of techniques utilized during these treatments helps brighten dull skin, and can even aid in the elimination of cellulite. Choose from a variety of Body Treatments at Lotus Organics Day Spa & Wellness, and be amazed at the delicious aromas, and the silky smooth feel that lasts for days! This powerful aromatherapy massage treatment combines several holistic modalities to provide balance and alignment in the body, promoting wellness of one’s physical, mental, and emotional state. Essential oils are dropped onto the body like raindrops, while various light massage techniques are used on the feet, legs, and back to stimulate nerve endings for increased absorption of the oils. The Raindrop Technique® assists in stress reduction, re-alignment of the body’s energy, and may improve immune system responses, and ease muscle, bone, and joint pain. Allow 90 minutes for this treatment. Read more detailed information on the Raindrop Technique® by clicking here! Melt away stress and rejuvenate the skin with a luxurious full-body sugar exfoliation. Sugar scrubs are excellent for retaining hydration of the skin while offering a gentle, non-abrasive exfoliation. Each scrub is blended with carefully selected natural oils for the ultimate moisturization experience. Choose from the available scents listed below. Every Blissful Body Scrub is complete with a dry brush exfoliation, invigorating body scrub, warm spa towels, and a gentle, relaxing aromatic moisturizing massage. Sometimes it just feels good to get a good back cleansing scrub and relaxing massage. This brief treatment offers a quick yet thorough dry brushing, deep cleansing and smoothing exfoliation of the entire back. 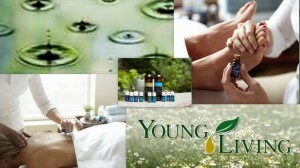 Followed by a 15 minute relaxing, moisturizing massage, your back and your soul will be refreshed and ready to go! Allow 30 minutes for this treatment.